Armed police arrested a man at a B&B close to Sheffield Wednesday’s ground this morning. Officers with their guns visible surrounded the Alara Bed and Breakfast on Penistone Road, Hillsborough, as they made the arrest at around 9.45am. 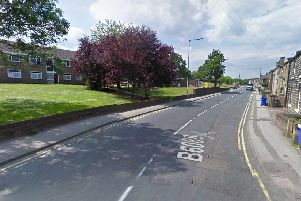 A 26-year-old man was led away for questioning after being arrested on suspicion of firearm and drug offences in New Basford, Nottingham, March 26. He remains in police custody this afternoon. The operation was carried out by officers from Nottinghamshire Police.